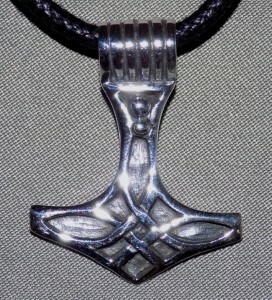 This Sterling Silver Curved Celtic Thor’s Hammer Necklace comes with either an 18″ black silky cord with lobster-claw clasp, or an 18″ medium weight Sterling Silver box chain. You can choose which you prefer from the drop-down cart button below. 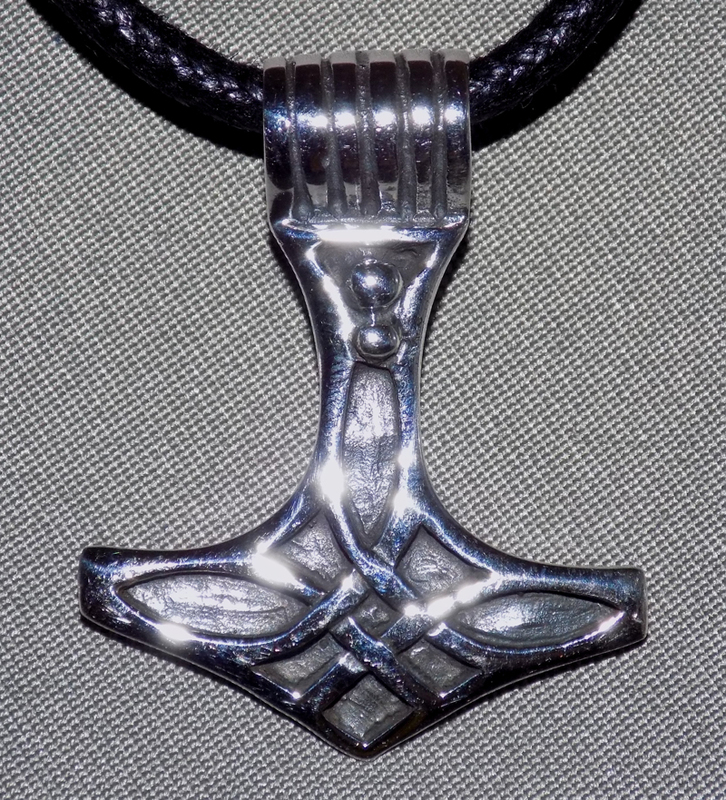 This Sterling Silver pendant is approximately 1 1/8″ tall, including bail.